France Cruises, is introducing “Signature CruiseTour Packages”, offering riverboat or barge travelers a more complete, all-inclusive vacation plan in any destination they choose throughout France. “Signature CruiseTour Packages” will provide France Cruises travelers an extensive variety of concierge-like amenities including: land tours, airport/train transfers, traditional hotel, meal and destination reservations and more. In addition to creating custom packages, tailored specifically to the vacation desires of each individual client, “Signature CruiseTour Packages” by France Cruises will also offer reduced, ready-made tour packages that are discounted, and available for a limited time. 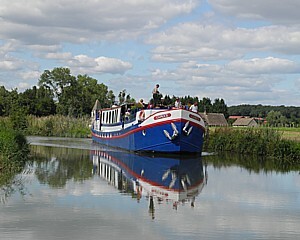 “12 Days in Paris & Bordeaux CruiseTour” is currently offered as part of this launch. To learn more about France Cruises, and the new “Signature CruiseTour Packages” visit http://www.francecruises.com or call 866-498-3920. This entry was posted on September 11, 2013 at 9:22 pm and is filed under barge cruises, cruise vacations, cruises, river cruises. You can follow any responses to this entry through the RSS 2.0 feed. You can leave a response, or trackback from your own site.